The genetic make-up of our brain cells changes thousands of times over the course of our lifetimes, according to new research. Scientists at the Roslin Institute in Edinburgh have identified genes, called retrotransposons, responsible for tiny changes in the DNA of brain tissue. 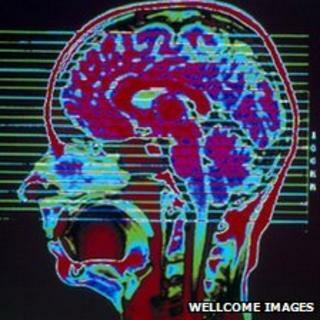 They say their discovery completely overturns previous theories about how the brain works. It could also increase understanding of conditions such as Parkinson's disease. The study shows for the first time that brain cells are genetically different to other cells in the body, and are also genetically distinct from each other. The research was carried out in collaboration with scientists from the Netherlands, Italy, Australia, Japan and the US. They found that the retrotransposons were particularly active in areas of the brain linked to cell renewal. It is hoped that by mapping the location of these genes, scientists could identify mutations that impact on brain function and may cause diseases such as Parkinson's to develop. The researchers are now investigating whether brain tumour formation and conditions which affect the memory, such as Alzheimer's, are associated with a change in retrotransposon activity. Dr Geoff Faulkner, from the Roslin Institute, based at the University of Edinburgh, said: "This research completely overturns the belief that the genetic make-up of brain cells remains static throughout life and provides us with new information about how the brain works. "If we can understand better how these subtle genetic changes occur we could shed light on how brain cells regenerate, how processes like memory formation may have a genetic basis and possibly link the activity of these genes to brain diseases." The scientists' findings are published in the journal Nature.